Though your windscreen is durable, it’s essential to nip those little cracks and dings in the bud before they become a real problem. A little crack can become a full-on fissure in no time at all. Here’s some advice for spotting windscreen problems and the best ways to address them, saving you time, money, and headaches. Many of those unseemly cracks in windscreens began as tiny cracks or chips. They may seem harmless at the time, but the elements have a way of worsening even the most benign damage. Hence, it is extremely important that you regularly and thoroughly scan your windscreen for cracks or chips. It’s easy to ignore those little nicks, but it will cost you much less to fix a small crack than a large one. Make a habit of checking your windscreen and windows every time before you get in your car. A quick five-minute scan can help you notice cracks or chips that you may have glossed over last time you drove your car. Like getting regular checkups at the doctor, preventative care for your car is often much less expensive (and easier) than reactive care, like replacing a windscreen when a crack has gotten worse. Avoid dirt roads: Or any road with loose gravel for that matter. Those bouncing rocks can easily chip your windscreen. Turn down the A/C: Changes in temperature can cause cracks to expand and contract, which may cause the crack to grow over time. Therefore, constantly using air conditioning could worsen even little cracks. Adjust your route: if you drive past a golf course everyday on your way to work, consider an alternate route. Avoid hazardous areas that might put your windscreen at risk. Use common sense to determine what you should do differently to keep your windscreen from enduring unnecessary stress. There are tons of DIY windscreen repair products on the market. Using one of these products rather than going to a professional could save you valuable time and money. However, make sure you work on your car in a garage (turned off, obviously) at a normal temperature. Also, make sure to clean all residues and dust out of the crack while your repair it. The safest bet for repairing your windscreen is to see a professional. Professionals will repair or replace your windscreen so you don’t have to try to figure it out yourself. You would obviously see a professional when your windscreen is completely totaled, but you should also see a professional if a smaller crack or chip has enlarged, if you notice leakage around the edges of your windscreen, or for anything that seems out of the ordinary. With these tips and tricks in mind, you won’t have to worry about your windscreen any time soon! 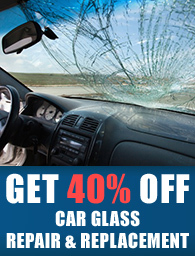 Contact Fast Car Glass today to set up an appointment to get your windscreen repaired or replaced. Call 07707550375 or 08000842929 today.